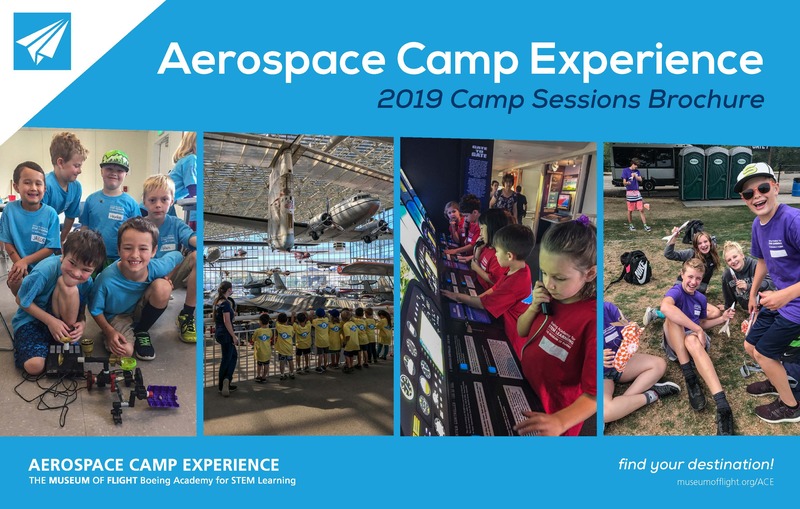 this summer exploring the world of STEM, ACE is the camp for you! To get more information about ACE or to accommodate special needs or physical restrictions prior to registration, call 206-716-0820. Winter, Spring, Summer, and Fall camps available. Please note that for Planetary Voyagers Game of Drones: Session 2 (week 11) the correct Member price is $425. AE02-Shall We Make a Game? PV05-So You Want to be an Astronaut? ACE Campers flew on the Alaska Airlines 737-900ER First Flight! Give the gift of ACE for holidays, birthdays, and special occasions! Perfect for all kiddos interested in space, aviation, engineering, science, robotics, and art! At the end of each camp week, we showcase all of our camps at the Camper Appreciation. Here we sing camp songs, view a PowerPoint of the week, and call each group on stage to give them recognition and appreciation! No worries if you missed the ceremony, we make each one available for download. Here at ACE, we are always trying to make our camp better for you and your family. Please check back for our next survey.